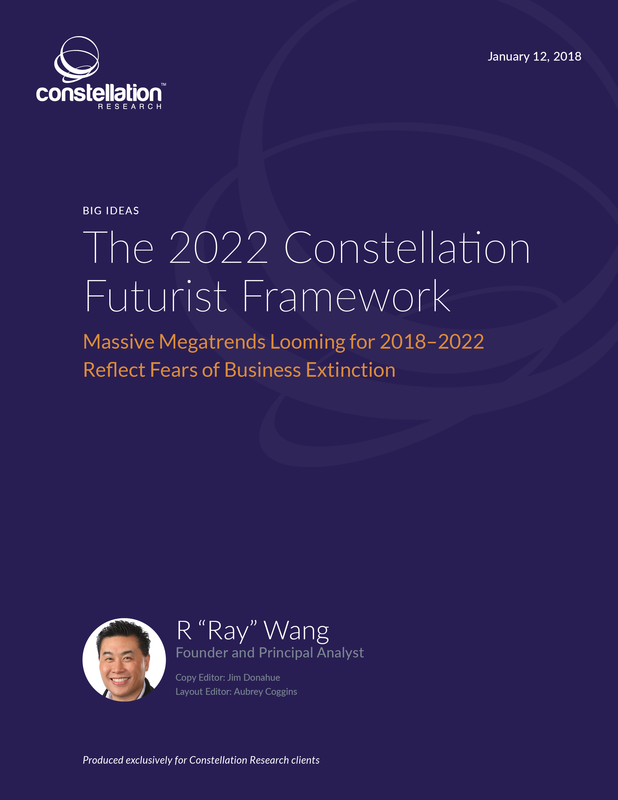 The 2022 Constellation Futurist Framework | Constellation Research Inc. Political (P) outlook reflects governments' quest to quell social unrest, not to resolve structural issues. Economic (E) trends show global optimism from regulatory relief. Societal (S) shifts showcase self-awareness and mass personalization at scale. Technological (T) forces reflect the impact of exponential technologies. Environmental (E) factors demonstrate societal shifts and sustainable business models. Legislative (L) trends reflect populace bipolarity. Successfully navigating these trends will require executives to develop a strategy for dominating digital disruption in a world driven by artificial intelligence. Boardrooms must be cognizant of such changes in order to make the tough decisions required to thrive amid the disruption ahead and avoid business extinction events.